NOTE: Entries to enter to win are now closed. Join #RunChat at 8 p.m. ET 8/26! Sunday's #RunChat - 8 p.m. 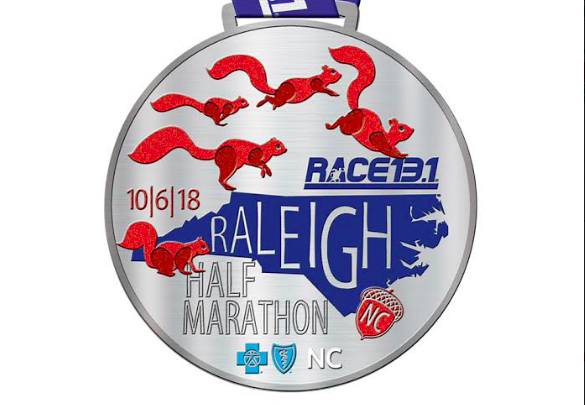 ET Aug. 26 - welcomes back our longtime partner with the Race 13.1 series of races. As part of this week's #RunChat, we have TWO giveaways for their races. All you need to do is tweet about it (info below) and answer at least one question on Sunday. Then answer at least one question Sunday. The tweet can vary from above, but it MUST tag @race131, link to this post and include the #RunChat tag. Two winners will be chosen at random and announced in the final 5 minutes of #RunChat. Retweets or liking of tweets do not increase your chances of winning. Anyone can also get a 10% discount with code ChatR131 for any Race 13.1 event. Newer PostStart your 2019 in Charleston, SC! Older PostWelcome Wegrynd to #RunChat!